COMICS PORTAL: Event Hell Begins! This week is when the change begins. Convergence #0 arrives in comics shops this Wednesday, which just happens to be April 1, the day commonly celebrated as April Fool’s Day. Don’t worry, though, Marvel isn’t far behind. I’ve indicated many times that I don’t enjoy “event” storytelling. I particularly don’t like it when several “events” overlap each other. 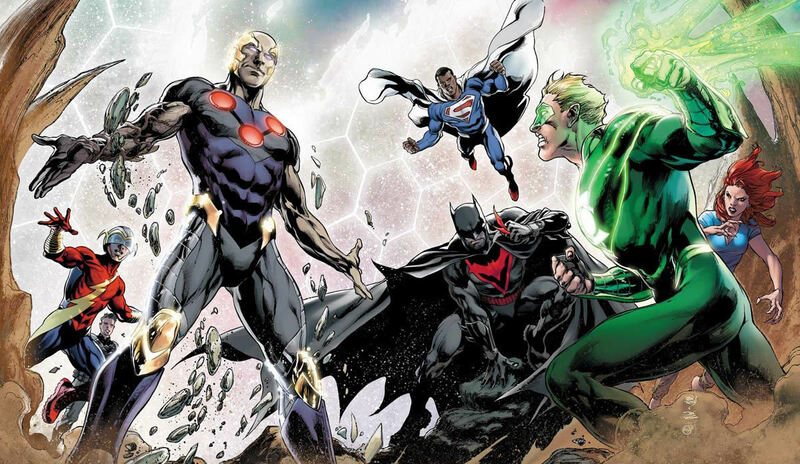 For me, the next several months will be “Event Hell” because just about every comic from DC and Marvel will be an “event” tied to a big miniseries. There are times I wish I didn’t have such a good memory. I’ve read nearly all of the stories Convergence will focus around, and that’s also true of Secret Wars, including the very first and second incarnations of that limited series. It must be something to have never read these things before, or to have comics amnesia! Then, too, there are others who believe that the industry endures a serious turn-over of readers every four or five years, so they never knew these stories in the first place! 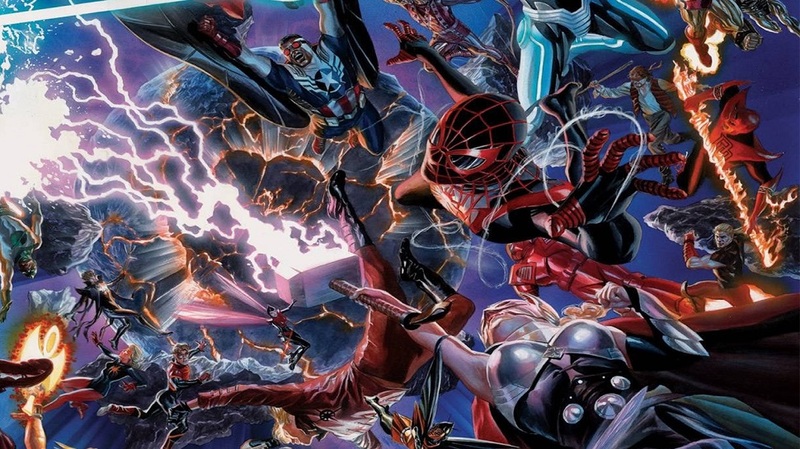 One of the important developments coming out of Secret Wars will be that Marvel will now have one “cohesive” universe, with the Ultimate Universe and the 2099 Universe and many others folding into what will be the “only” Marvel Universe. Any similarities to DC’s Crisis on Infinite Earths is purely coincidental, you betcha! A lot of us pine for stories of years gone by, and we want them to be considered “canon” or part of the current universe’s storytelling. But there are some I’d rather completely forget. The one thing I’m truly not looking forward to is the return of Peter Parker being married to M.J. Watson. And this time, they’ll even have the daughter Mephisto told them they’d never have! This will all take place in Amazing Spider-Man: Renew Your Vows. I still have bad memories of going into local comics shops who celebrated this wedding by serving wedding cake to everyone who attended, including young children. It took many of them literally years to clean out all the cake from between the pages of comics they were trying to sell. Granted, the Mephisto resolution was ham-fisted at best, but it did put Peter Parker back where most fans were used to seeing him – struggling on his own. This “new” marriage story might be only temporary again, but Marvel is the House of Ideas. They’re not always original or good ideas, but they are ideas nonetheless. There are a great many more things going on during Secret Wars, including things happening at “Battleworld,” but that would take several columns to outline them all. Instead, the more I learn about Secret Wars, the less I’m sure about it. I’ve written previously about how the next few months will be tough on store owners. Even after looking over the Convergence titles, I have to say that I’m still not sure what I want to buy and what I don’t. Even a big Bat-fan like myself is having a tough call sorting out what looks good to me. Different versions of Batman, Robin and Batgirl running around for two months have made it really difficult to sort things out. What I imagine is going to happen is that word of mouth will hit the web hard about what’s great and what is not-so-great, and then people like me who haven’t decided what to get may try and beg our local stores to see if they have the issues we want. I’m not optimistic about being able to buy books on that basis. Just like with Marvel, I’m of two minds with DC. I’d love to see many of these characters come back, but I’ll again endure a real sense of loss if they simply vanish after two months. I was originally thinking about listing the titles I might like, but I didn’t do that because I keep changing my mind about them! Yikes! I’ve pretty much settled on what a LOT of people online have said they’re going to do. 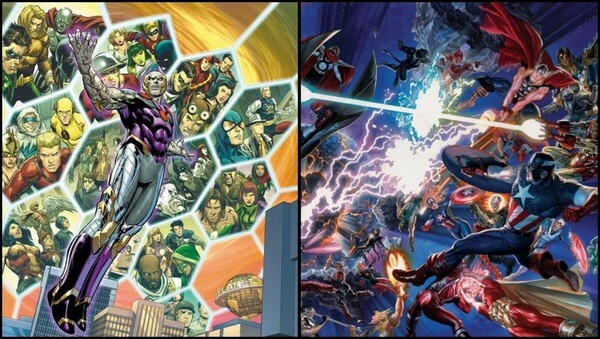 I’ll get the main Convergence and Secret Wars weekly books, then play it by ear beyond that. I hate doing this. I’d much rather dive in and support all the creative teams breathing new life into characters I’ve loved and hated before just to see what’s happening. And I also hate letting others tell me what is good instead of me making that call myself. But I’m not ready to invest literally hundreds of dollars just to find the fair-to-good-to-great titles myself. Sadly, my experience in the past with things like this is that I end up with many more less-than-fair comics compared to the good stuff. The good news is that the product from other companies like Image, Dynamite, Dark Horse and the like will still be coming out as they usually do. I just might look into some of those books instead. My biggest fear is that both Marvel and DC will end up re-telling the classic stories of the past, changing only some of the details just to make them “different.” I was very discouraged with IDW’s Star Trek Ongoing comic because they did way too much of that when the title (and the movies as well) began. I’m sure they wished I had suffered from some form of amnesia then because I’d have bought more of those! I don’t suffer from comics amnesia as much as many comics companies and creators seem to, sadly. (Is that an homage or a re-telling when that happens? I can never figure that out!) I tend to buy hardcover copies of stories I particularly love just to revisit them from time to time. I don’t think many of you readers have this affliction either, honestly! What are you going to do now that “Event Hell” begins this week? Be sure to let us know in the space below! I’ll wait and see. Guess Im getting older, since these things wont raise my blood pressure like they could have, depending what happens, for example 10 years ago. I don’t plan to buy any DC books during Convergence since I’m still not sure what ties these books have to each other. I am getting the main secret wars title because I’ve enjoyed Hickman’s run on Avengers and want to see it through to the end. Any other titles will be based on interests and creative team.